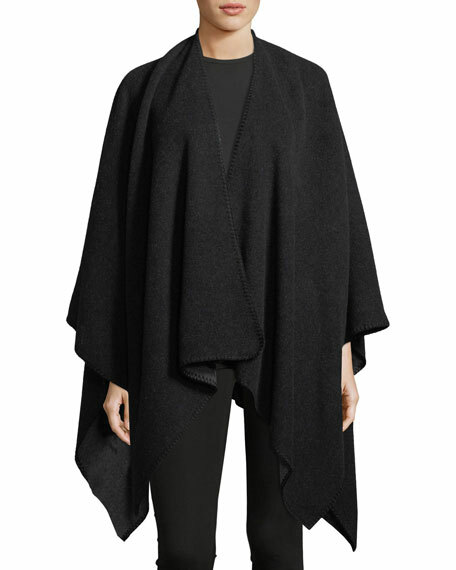 Eskandar poncho in hand-loomed, extrafine merino wool. For in-store inquiries, use sku #2390909. Canada Goose woven poncho. Draped silhouette. Open front. Handkerchief hem. Merino wool. Dry clean. Made in Italy.